It’s summer! We all know what that means: the days are longer, the weather’s beautiful, and the kids are out of school ready to play! Long days may have you reaching for the closest thing on the shelf when the kiddos come running at snack time. Plus, busy schedules and active kids often leave us scrambling around dinnertime for both the energy to cook and healthy meal ideas. Relax your shoulders and take a breath. I’m here to help! Below I’ve outlined some of my favorite snacks, dinner items, and answered the most common questions I receive as a registered dietician at Billings Clinic. Hopefully, these handy tips leave you and the kids with happy bellies and smiling faces! 1. 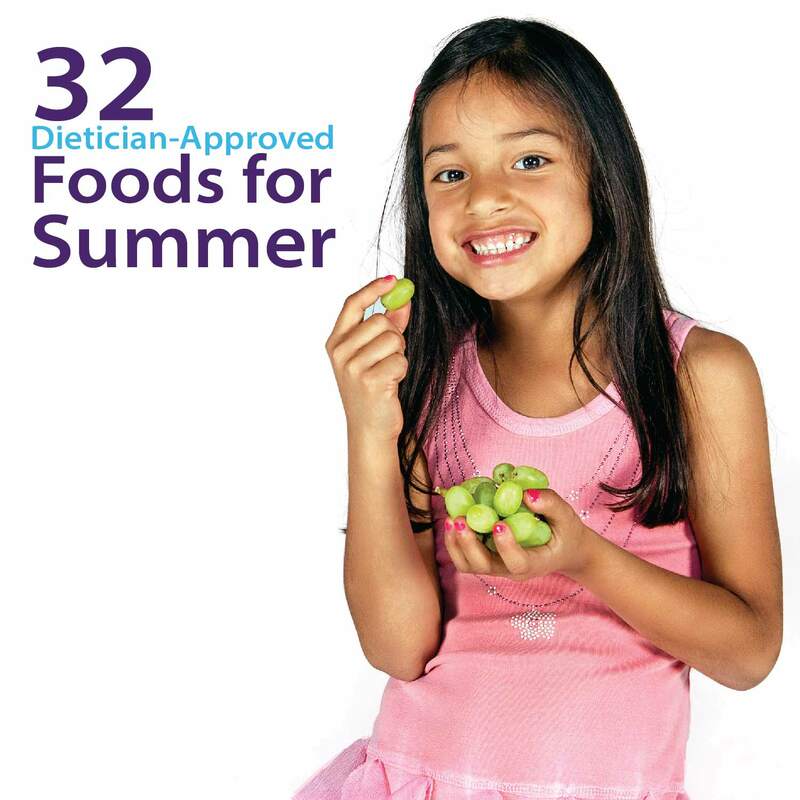 What are some non-perishable healthy snack ideas for kids? Cut up veggies: celery, carrots, peppers etc. Be mindful of choking risks for your younger kiddos with some snack foods and pack accordingly. 2. Is it a good idea to plan and prepare meals ahead of time? Why? Yes, of course! Planning out meals saves you time, money, and gas by cutting down on those “quick” trips to the grocery store. Meal planning also promotes healthy eating for the whole family! By sticking to your planned out list, you can avoid buying items on a whim. You can also turn grocery shopping into a fun “treasure hunt” by having your kids help find items on your list. If you can, use weekends or spare time to prepare nutritious meals and freeze them to reheat at a later date. This will save you time in the long run and give you more quality time with the family. 3. What are good food items to keep stocked in your pantry for a quick last minute, yet healthy meal? Don’t forget extra virgin olive oil, vinegars, and spices to give your meals some “zing” and make them come together. 4. Are frozen veggies a comparable substitution to fresh? Frozen vegetables should be a staple in everyone’s freezer. Frozen vegetables are blanched (cooked for a short time by being boiled or steamed) and frozen within hours of harvesting. This short process time leaves vegetables at the peak of freshness. In fact, sometimes frozen veggies are more “fresh” than fresh vegetables. It’s best to stick to frozen vegetables without the extra sauces, as they’re better for your health. Frozen vegetables are a great way to add vitamins, minerals, antioxidants and delicious flavor to any meal. 5. So you forgot to stock the car up with healthy snacks and now the kids are starving, are there any healthy fast food suggestions? Option 1: “Kid’s meal” at a sub shop. Do your best to incorporate whole wheat bread, mustard, meat, veggies, apple slices, low fat or nonfat milk, 100% juice, or unsweetened tea. Option 2: Grilled instead of breaded chicken sandwiches or wraps. Option 4: Corn dog with fruit and a cheese stick. Most establishments will offer fruit or carrot sticks as a side. These are great options, but hold off on the caramel sauce when purchasing items such as apple fries. Whether you’re up in the mountains camping, hanging out on a lake, or swinging at the park, hopefully these tips will make it easy to eat healthy. Have fun, be safe, and make memories with your family that will last a lifetime! For more information on how to keep your kids healthy, visit www.billingsclinic.com/healthykids.